Find a home in Tipp City Ohio at the MyDaytonMLS.com home search! This market report was independently compiled by Theresa Lussier, Realtor, THE HOME GROUP REALTY, and represents sales of single family homes and condos in Tipp City OH as represented in the Dayton Area Board of Realtors MLS. Information is believed accurate but due to possible reporting discrepancies and inaccuracies, this information cannot be guaranteed. May not be copied without permission. Looking at real estate market reports can let us see trends for a particular area. People selling a home in a particular area can see what price they might be able to reasonably expect, and home buyers can gauge what they might offer. The reports that you can find here on a regular basis are for the following areas: Beavercreek, Englewood, Fairborn, Huber Heights, Kettering, and Tipp City. These market reports can be considered a general snapshot of the real estate market for one month, year over year.  It’s a broad picture, and please be advised that the real estate market in the Dayton Ohio area can vary wildly from neighborhood to neighborhood and even block to block. We can see trends in looking at a broad picture, but this is not going to tell you about your home and your neighborhood. For that, you need to contact me for a Comparative Market Analysis (CMA). That will give you an apples to apples idea of what your house is worth in the current Dayton Ohio real estate market, compared to other similar homes. Procuring a complete, concise, and accurate CMA is simple enough for us to do! Just contact me, Theresa Lussier at: 937.478.7781 – a few quick questions about your property, updates, upgrades, condition, etc. But the beauty part is, a Comparative Market Analysis represents no obligation to you.